We all knew it was coming: Now, the police are claiming they found a vial of PCP in Crutcher’s car. Even if they did, it’s irrelevant; they’re just using that to distract attention from what they did. But, aside from that, how seriously can we take their claim? The police “find” all sorts of things. Take, for example, the OJ Simpson case, where they “found” the bloody glove in Simpson’s car. The claim was that this was the glove Simpson was wearing when he allegedly stabbed Nicole Brown, thus proving that he was the culprit. The glove was “found” by the cop Mark Fuhrman, who was a proven and dedicated racist. There was just one little problem: Simpson’s hands are so large, he couldn’t get them into the glove! Can anybody reasonably doubt that Fuhrman planted the glove? Then there is the case ongoing right now in St. Louis. 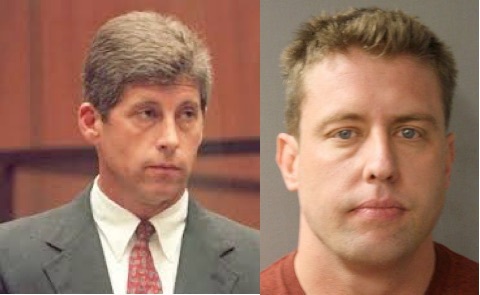 In December of 2011, two cops – Jason Stockley and Brian Bianchi – tried to arrest Lamar Smith on suspicion of dealing drugs. Smith fled in his car. As the cops gave chase, Stockley is recorded as saying “Going to kill this (expletive), don’t you know it.” (Previously, Stockley is seen waving around an AR-47 rifle – his own personal weapon that is not authorized by the department.) After Smith’s car crashes and he is stuck in the car, Stockley then reaches into the car and does exactly what he said he’d do: he shoots and kills Smith. He is then videotaped returning to his cruiser, rummaging around in a bag in the back of the car, and bringing a pistol and planting it in Smith’s car! These two cops clearly planted evidence. The only unique thing about them is that we have the evidence they did. Is this what happened in Crutcher’s case? Will we ever know? No, Bernie Sanders is the one who is lying when he says most cops are honest and hard working. They make up a criminal conspiracy.